New Years resolution-keeper Apps	No ratings yet. Making new year resolutions can be pretty easy, but keeping them is were we actually fall short; so today I will be mention a list of apps that will help you make the new year resolution and also help you keep them. Download links are also available. resolution quite easy to sort, and to view at a glance. Other important features include the ability to sync with your calendar, and to set custom task reminders. Color Note also has a nice widget, so you can view your resolutions from your phone’s home screen. And if you want to write a personal note or resolution with the color note you can add passwords to it. Evernote is free and available for iOS, Android, Windows Phone and is a robust note-taking app that lets you dictate or manually enter notes, snap photos, create to-do-lists and more. The app features text identification, which can recognise and index printed — and even handwritten — text. That means you can search for specific words, whether they’re in a PDF, a typed memo or a photographed note scrawled on a scrap of paper, with this if your lazy to type a new year resolution you can just write it in a paper and snap. Evernote is available for a wide range of platforms, including iOS, Android, Windows Phone, Mac and PC, so you can access your notes and resolutions on any machine and stay organised. This is a Free iOS. 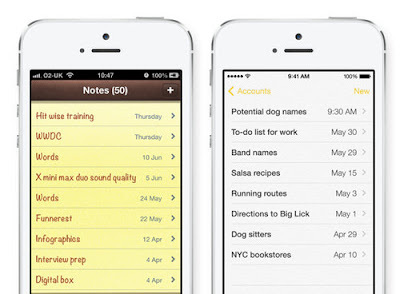 So if you’re using an iPhone or iPad, Apple’s stock Notes app might be all you need. The app — which comes pre-loaded on all iOS devices doesn’t have quite as many features as some other note apps. It’s pretty powerful. 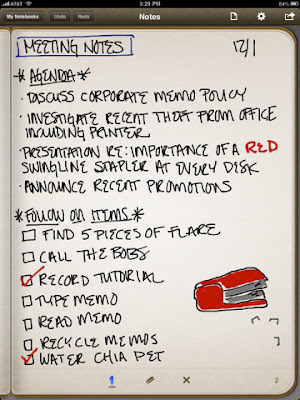 I really like the ability to create checklists and to do lists for your resolution, then tick off items with one tap. You also get powerful formatting options, with the ability to add a title, heading or bulleted list to your new year resolution. And also Add an attachment including photos and videos. And your notes (new year resolution) can integrate with Siri automatically, so you can save your resolutions using voice commands. So with this app on your iOS device, Siri could remind you of your resolution and note. This app is Free for both iOS, Android, Windows Phone platforms. This app was created by the Microsoft team. 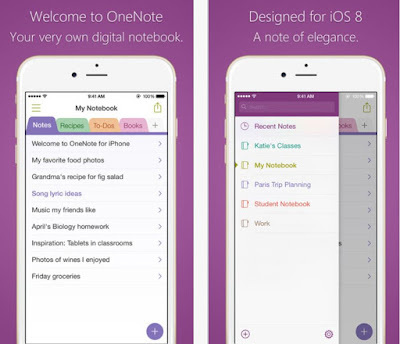 OneNote is available for iOS, Android and Windows Phone. 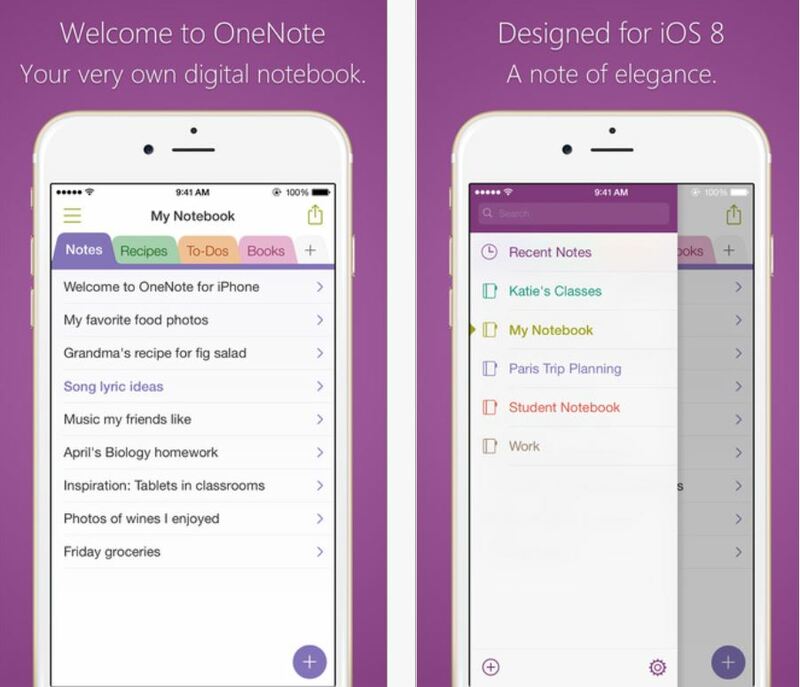 OneNote has one big advantage over competing apps: full integration with Microsoft Office. OneNote has the ability to automatically sync your notes or new year resolution with Microsoft’s OneNote cloud-storage platform, so your notes are accessible from anywhere, on any Internet-connected device. Android users could take good advantages of the OneNote widget to take notes right on their phone or tablet’s home screen without opening the app. I will personally recommend this app for window users. Simplenote is also Free and available for iOS, Android users. Sometimes, extra features just get in the way. Simplenote is a wonderful note-taking app. It has almost simple features with apps like Evernote and OneNote. You can easily create notes and your new year resolution then add bullet points. 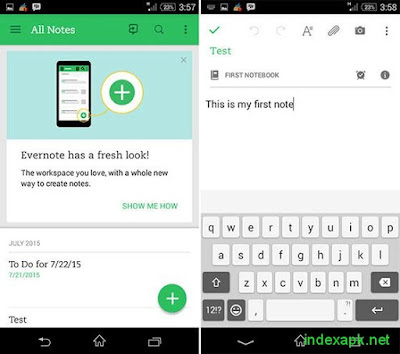 With this app, you can easy search through your note to find a particular resolution with keywords. I also like Simplenote’s history feature, which makes it easy to restore any note or resolution that you accidentally deleted. this app costs $2.99 and it’s available for only iOS devices. 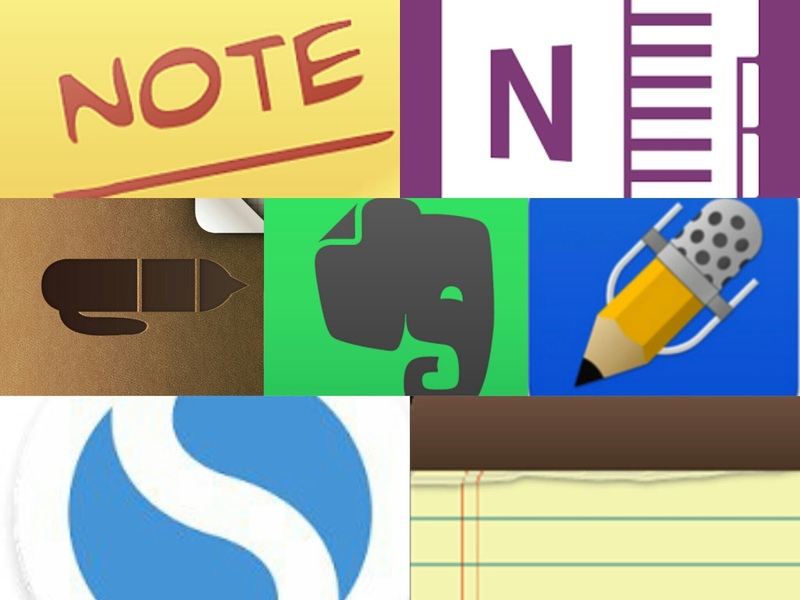 Unlike other popular alternatives, Notability isn’t free. But the app features some premium features that make it worthwhile. 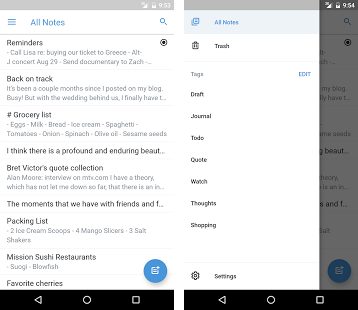 In terms of note-taking functionality, the app covers all the basics, letting you type out notes, with sketch ideas and you could also incorporate photos and video. Additionally, it lets you annotate documents and PDFs, then share them with others. One premium feature that really stands out is the app’s ability to sync written notes with an audio recording; so when you’re reviewing your notes or resolution, tap a word or picture to hear what was said at that moment. Penultimate is an iPad-exclusive note-taking app for the stylus devotee. As its name implies, the app’s functionality is centered around pen input so you can scribble down notes and draw diagrams on the fly. You can use your finger or a capacitive stylus to write your resolution, note and ideas. the app features effective palm rejection so you won’t make any unwanted marks. Your notes can be organized by topic, project or category, and the built-in search functionality can recognize and locate printed words. Penultimate is also integrated with the Evernote app, so you can easily sync your written notes or resolution with your entire Evernote library. The Note app, Notability, evernote and simplenote. For the windows users I will recommend you use either OneNote or EverNote. Then for the android users I will recommend you use the color note, evernote, OneNote, or the SimpleNote. You could also use this Apps to take down notes, ideas and to-do-list or checklist too. So have a fresh start in 2017 with these apps.